Interpretation of Pulmonary Function Tests, 4th edition provides practical, clinically relevant coverage of all types of pulmonary function testing as it applies to a host of disease conditions. 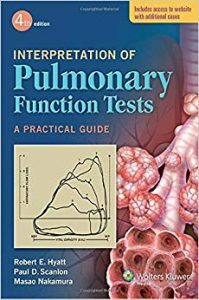 It is aimed at any reader with a basic knowledge of pulmonary physiology and provides a solid basis for administering and interpreting these tests. The authors provide valuable guidance for day-to-day clinical work, e.g., in chapters entitled “When to Test and What to Order” and “Approaches to Interpreting Pulmonary Function Tests.” The book also features over 40 illustrative cases that readers can use for self-testing and for reinforcing the principles discussed elsewhere in the book.